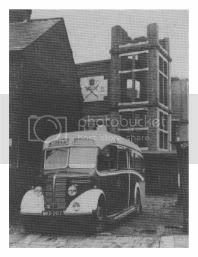 The Welch's coach in Local Lads picture bought back memories for me as that was the coach that took us on school swimming trips to Buckmore Park from Fort Luton school in the early 1960's. It was old even then and we boys , with our youthful humour , took the micky out of it as it pulled up at the school gate . In reality it was a lovely old vehicle and had been quite well kept . It would certainly attract some attention today ! They were based in Jezreels Road, I remember in the late 50's there were two coaches, the one pictured above a Bedford OB MKO 207 in their yard, and a larger one can't remember much about this one other than it being a half cab jobby, their livery was red with cream roof and trim. They used to sell coal as well, some times there would be a coal lorry parked where the coach is in the picture, I don't remember seeing the larger coach parked there though, it was usually seen parked on the road outside when not on a job. Does anyone know what become of them?.